If you do not currently have an electric kettle in your home, and if you have enough money in both your checking account and your budget, it’s time to get one. These kettles are perfect for everything from making tea to pre-boiling water for pasta — like, are you going to sit there and watch a pot until it boils, or are you going to flick the switch on your electric kettle and then grab your phone to respond to a text and then HEY LOOK, THE WATER IS BOILING? Don’t tell me that you heat up water in the microwave. That is GROSS. Do you know what the recommended method of cleaning your microwave is? PUTTING WATER INTO IT AND THEN HEATING UP THE WATER. This both loosens up the gunk and fills your microwave with gunk steam, and do you want gunk steam in your tea or your ramen noodles or whatever you’re microwaving? I HOPE NOT. Also, microwaving a container of water heats up both the water and the container, which means you have to wear an oven mitt just to consume your food or beverage, and nobody should have to do that. 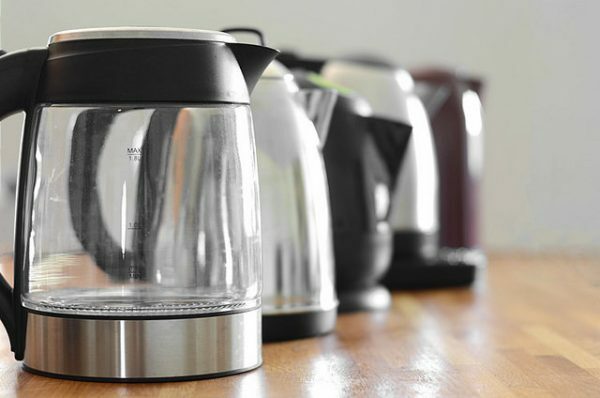 So get a kettle, if it fits your budget — and the great thing about electric kettles is that there is one for every budget. I currently own the Hamilton Beach Large Electric Cordless Kettle, which is on the low end of the price range. This Christmas I bought my mom the Hamilton Beach 1.7 Liter Silver Electric Kettle, which is a little more expensive but not by much. Billfolder BornSecular recommends the Cuisinart CPK-17 PerfecTemp 1.7-Liter Stainless Steel Cordless Electric Kettle, which is on the higher end of things but is perfect if you like electric kettles with multiple temperature settings. I know that there’s this stereotype of British people having aced the electric kettle thing and Americans still trying to heat up their water by rubbing two sticks over it or something, but WE DON’T HAVE TO LIVE THAT WAY. We too can own electric kettles, they are sold in the U.S. and we don’t have to buy a special plug adapter or anything. The electric kettle. Buy it, or literally anything else, on Amazon. Just pick one of those links and explore the multiplicity of products available to you. Photo credit: YourBestDigs, CC BY 2.0.